If your trip is getting delayed due to the unavailability of a passport, then come directly to us for the best solutions. At Sai Tours, we are engaged in offering trustworthy passport & visa services to the clients across Karwar (Karnataka, India). We have an alliance with some of the eminent players in the travel industry. This helps us in assisting our clients in the documentation procedure and in procuring the correct documents. We also guide our clients in filling the respective application forms. In addition to this, we keep you updated about the status of your application. 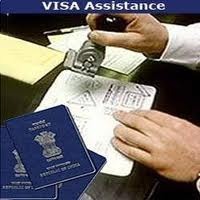 Thus, contact us anytime for obtaining your passport or visa conveniently.